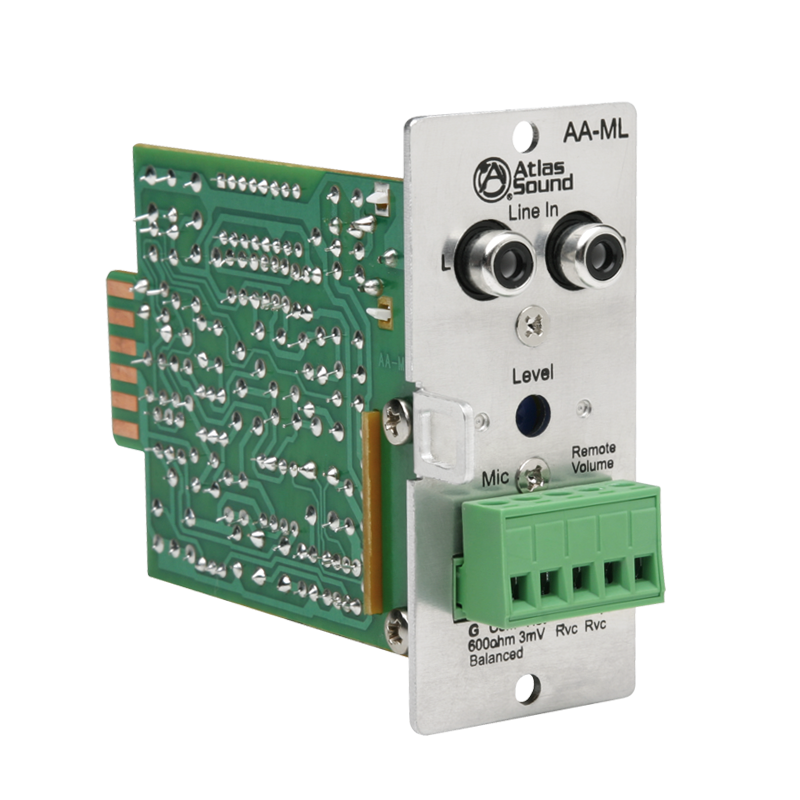 The AA-ML is an accessory input module for the AA120M. 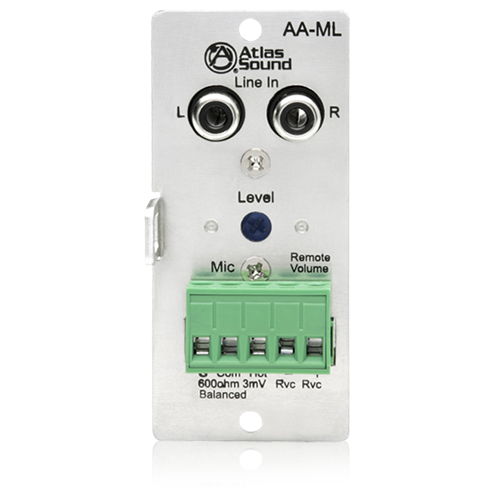 When inserted into the AA120M it can be used as an additional Line or Mic input. Unit features a level control, RCA summing jacks for unbalanced line level signals, Phoenix style input for mic level signals with switchable 18V phantom power supply, remote VCA level control and 6 dB/octave high pass filter (-3 dB @ 300 Hz). Hote: HPF is only functional for Mic input.